A chilling double-feature from two of the most celebrated writers of all time! 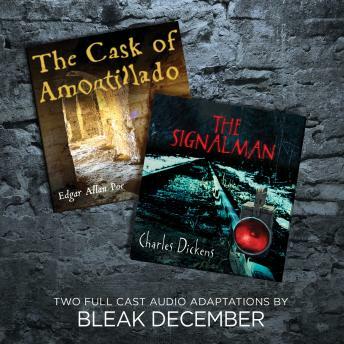 In Charles Dickens' The Signalman, the titular character (played by Sylvester McCoy of Doctor Who and The Hobbit) recounts to a traveling writer (Anthony D.P. Mann) the terrifying tale of a ghostly spectre who forewarns of death and tragedy. Meanwhile, in a lively adaptation of Edgar Allan Poe's The Cask of Amontillado, a despicable rival of the noble Claudio Montressor gets his just desserts in this darkly comedic tale of revenge and murder.